Who Qualifies For A Commonwealth War Grave? Below are set out the basic criteria for a serviceman or woman to be accepted for war grave status and commemoration by the Commonwealth War Graves Commission. 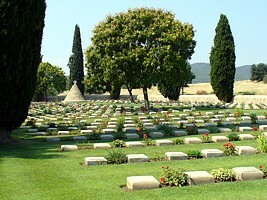 Only casualties from the two world wars can qualify for CWGC commemoration. All personnel fall into one of the following three categories. The location of their death and the cause of death are immaterial to their qualification. They could have been killed in action, died of wounds, died of illness or by accident, died due to suicide or homicide or suffered judicial execution. CWGC treats all casualties equally and all must be commemorated under the terms of their Royal Charter. Category Two:- Personnel who had been discharged from or retired from the military before their deaths during the same qualifying periods of an injury or illness caused by or exacerbated by their service during the same qualifying period. These cases qualify only if it is PROVEN to the authorities' satisfaction that death was service attributable. Category Three:- War grave status and CWGC commemoration is restricted to personnel serving in a Commonwealth armed force but members of certain civilian organisations may qualify if they meet various additional criteria. Each organisation has to meet slightly varying criteria but essentially death has to have occurred due to a war related cause and whilst serving overseas though subsequent service-related deaths can also qualify. Again, death must occur within the qualifying dates though these sometimes cover a shorter period than the standard ones above depending on the organisation. First World War – Mercantile Marine, British Red Cross Society, YMCA and Voluntary Aid Detachments. Second World War – Merchant Navy, Home Guard, War Correspondents and BOAC. The above are not exhaustive lists by any means and several other organisations also qualify. Because of the additional requirements for their qualification, it means that not all members of these organisations will qualify for CWGC commemoration even if they died during the qualifying periods. There are also some notable exceptions to the list of such organisations whose members cannot qualify under any circumstances. The first thing you should always do before submitting a non-commemoration case is to search the CWGC Debt of Honour several times using all possible variations of name spelling. You will be surprised how many times a ‘missing’ name can be found under an alternative version of the surname. Cases in Category One are easier to prove and often only require a copy of the casualty’s service record or a death certificate. Obviously the service record must confirm the death and the date it occurred. In the absence of a service record, a death certificate will usually confirm the date and their military status at death - the only requirement because cause of death and location of death are not relevant to recognition. However, if you also have other documentation such as the Medal Index Card, medical papers, pension or other records, they all help. Newspaper obituaries are useful supporting evidence but are not reliable enough to be used on their own. The cases in Category Two are more difficult to resolve and not all cases can be proven with satisfaction. However, you still need the death certificate and as much other evidence as you can gather. A proportion of these cases will fail to gain recognition. In these cases you will need to know the cause of death within the qualifying dates and be able to demonstrate that this was related to their period of service within those dates. If the casualty’s service or pension records show that discharge or retirement was due to a specific injury or illness and the death certificate shows death due to the same or an allied condition, then you can build a case. Category Three cases are not very common and they can be difficult to prove. Sufficient evidence has to be provided to show the cause of death within the qualifying dates meeting all the additional criteria applying to the specific organisation. The timescale for getting cases reviewed and accepted or rejected can be as little as a week or as long as five years. The process involves CWGC undertaking a first sift of the evidence submitted and then passing the data to the relevant department of the Ministry of Defence - Royal Navy, Army, RAF or Royal Marines as appropriate. The better the quality of your evidence and the more succinct your submission, the more chance it has of progressing quickly. Generally, post-discharge cases take a little longer to resolve. The time taken to resolve a case depends on the time taken to process the matter by the military authorities but most cases currently are settled within three or four months. 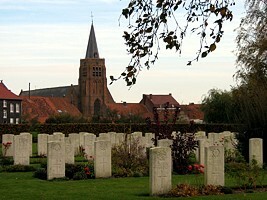 Obviously, cases which involve casualties from the dominions are passed by CWGC to those authorities for resolution. 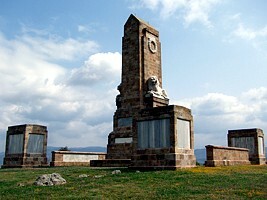 In all cases, it is the relevant military authority that agrees or rejects commemoration and not CWGC. Ensuring that the sacrifice of British and Commonwealth servicemen in two world wars is not forgotten.